I’m at the LEARN Conference on autonomous language learning and have just had the pleasure of hearing the keynote today from Victor Mair of the University of Pennsylvania (I gave the opening keynote yesterday). Mair is a sinologist and regular contributor to the LanguageLog, a wonderful resource for informed comments on issues related to language. He is an entertaining speaker as well as an excellent blogger – his posts are both informative and entertaining. He had a lot to say both about how the Internet is changing the Chinese language and about his views on teaching Chinese. He talked about the different ways that Chinese characters have been typed over the years, which given the number of characters in Chinese (over 50,000), is a challenge. 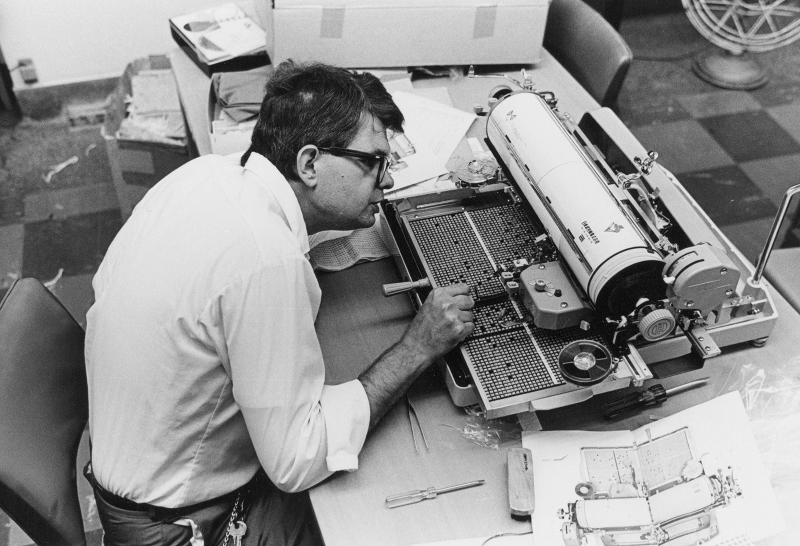 Early solutions featured elaborate typewriters (see image above), huge keyboards, or keys on a rotating drum. The early keyboards required use of a stylus, as there were so many characters to fit in. Today, Chinese is typed by using Pinyin, the romanized writing of characters. This has led to a de-emphasis on the ability to write characters, which has been a concern in China in recent years, similar to the issues in the US on cursive writing no longer being taught in primary schools. Mair has coined the term “character amnesia” to describe this phenomenon. In his talk, he showed an example of a grocery list by a native speaker of Mandarin in which there was a mixture of characters and pinyin, with some of the words having been begun to be written in characters, then scratched out and written in pinyin, indicating that how to write the characters had been forgotten. Mair calls this “creeping romanization” or “emerging digraphia”. One consequence of the concern over this loss of character literacy is the emergence of Chinese versions of spelling bees, with the contestants having to write the characters that had been read aloud. Mair says that with the availability of tools for working with Chinese characters, this is a great time to learn the language. He has little good to say about traditional teaching methods, which rely on memorization and writing. He advocates (at least for speakers of European languages) learning to speak first, then learning the characters. He describes the typical four skills approach to beginning Chinese as “inhumane”. He sees no point in teaching characters early. One of the most interesting remarks from Mair’s talk was his take on his contribution to the Languagelog blog. He writes regularly and estimates that it takes about a third of his professional time. In addition to writing the blog posts, he responds to the many emails he receives asking Chinese language related questions. This “public teaching” activity points to the changing role of language teachers today. For many teachers, this kind of extracurricular work has become a major regular activity. In fact, Mair stated today that he sees this as the most important work he does – more so than classroom instruction or scholarly research and publication. This corresponds to the trends of more and more people learning language outside of formal classroom settings. Internet technology enables this in many different ways. There are a number of contentious issues in the conflict between Greece and the European Union over the country’s economic situation. What we hear about in the media are disagreements related to taxes and pensions. The popular perception outside of Greece, and particularly in Germany, is that the Greeks have not been good shepherds of their resources; they retire early with fat pensions and do not pay the taxes they owe. It turns out that those views are outdated; there have been major reforms of the pension system and crackdowns on tax evaders (see the story in this week’s On the Media about that). But popular perceptions are slow to change, especially when there are compelling and long-established stereotypes at work: Germans are industrious; Greeks (and southern Europeans) are lazy. However, there are indeed some striking cultural distinctions of interest. One of the aspects of the Greek crisis that I’ve been following with interest are the conflicts that have arisen that have nothing to do with money. A few weeks ago, when the Greek prime minister and other officials were in Brussels to continue negotiations, German TV news conducted an interview with Wolfgang Schäuble, the German finance minister. Schäuble said he didn’t think the Greeks were serious about finding a solution to the crisis. Why? Not because their proposals were deficient, but because the Greek delegation wasn’t showing up on time for meetings. He gave specifics. He also commented on the fact that at the time of the interview, in the morning, the Greeks were having a leisurely breakfast, rather than showing up for meetings. For Schäuble, if you are serious about getting work done, the first requirement is that you be on time. The Greek perspective is different, seeing deadlines as less important. When Greek prime minister Alexis Tsipras pulled out of negotiations and announced the referendum that was held last Sunday, he was asked about the problem of missing the June 30 deadline for Greek to pay back 1.6 billion euros. His response: he couldn’t imagine that it would be a problem if there were a delay of a few days while a deal was worked out. Yesterday, the EU officials were flabbergasted that the Greeks did not show up for the meetings of finance ministers with a new proposal. Prime Minister Tsiparas had promised to deliver a new plan within 48 hours, if the Greeks voted “no” in the referendum. The Greeks responded yesterday that they were working on it. For individuals used to a “monochronic” time orientation (doing one thing at a time; keeping to deadlines), like Schäuble, it was inconceivable that agreed-on time commitments were not kept. For those with a “polychronic” time orientation, time is not seen as segmented, but fluid, and other priorities may have precedence. From the Greek perspective, the Germans were being unnecessarily rigid and unreasonable. The problem here is not really related to being on time, but on establishing and maintaining a cooperative attitude that could lead to a successful negotiation. The Germans, not taking into consideration the different time orientation of the Greeks, interpreted their behavior as one more signal that the Greeks were not serious negotiation partners. The Greeks didn’t help by not being aware of and taking into consideration the German imperative for punctuality. It’s not just the Germans who have this perspective; the Lithuanian prime minister said today that for the Greeks “everything is always mañana“, thus taking a swipe at several different cultures. This was not the only cultural conflict. Schäuble offered a dramatic contrast in style and tone to the Greek finance minister, Yanis Varoufakis, who announced his resignation yesterday. 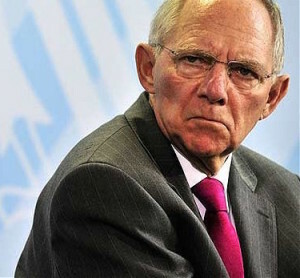 Schäuble is tight-lipped and serious, being cautious in his pronouncements. 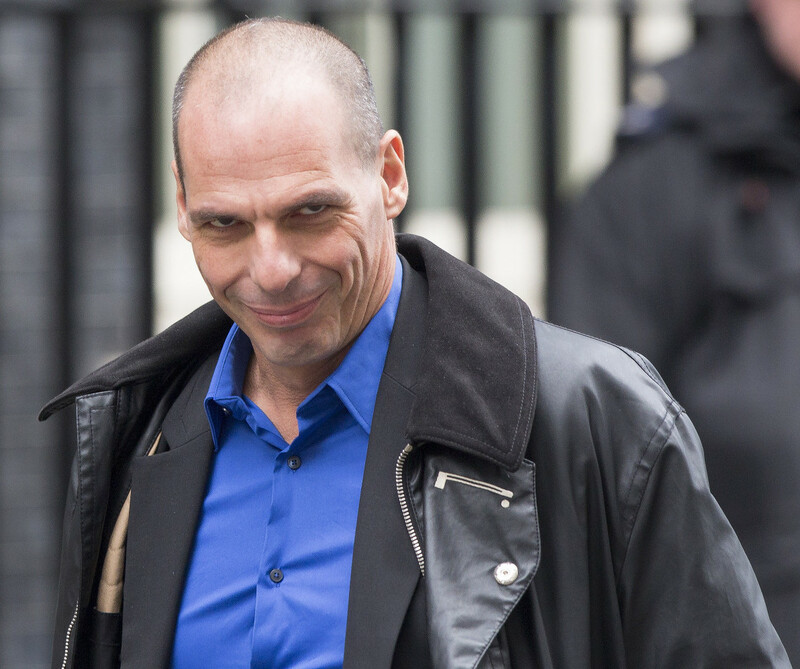 Varoufakis, in contrast, is free with his opinions and has not hid his disdain for some EU and German officials. Schäuble wears dark suits with conservative ties; Varoufakis goes for leather jackets. The Greek prime minister also does not wear ties. The German convention is that if you are doing serious business, you dress the part. Of course, the contrast between the two finance ministers is also a case of different personalities, as well as a generational divide. But it remains that if the German and Greeks are far apart on economic issues, they are as well in terms of some social norms and practices.